I would take your time in picking the right one. 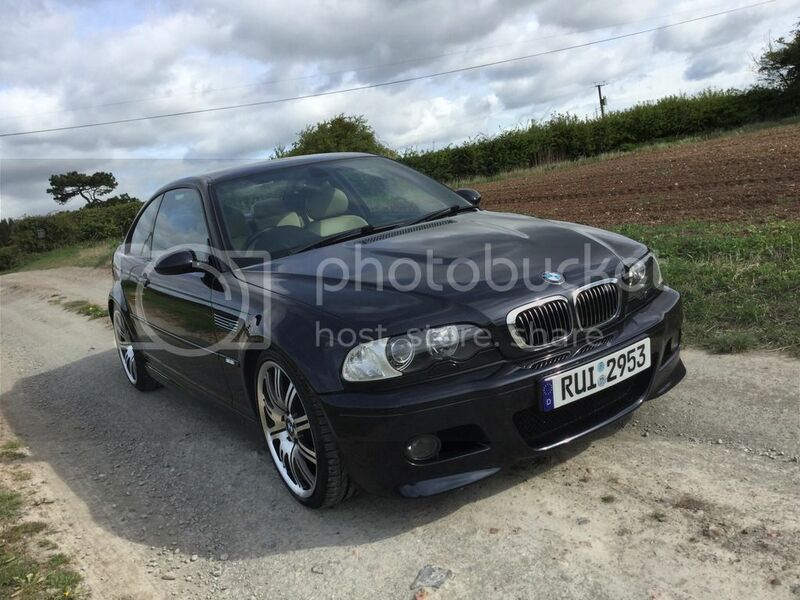 I looked two years ago and a 2005 plate was around £8k they seem to be asking more now. It's not that they are worth more it's just what people are asking as you will know Glasses guide will have those cars at far less than what they want. Really nice things to drive and easy to live with as a daily as it feels quite a mature car if driven gently...but as said you do really need to know how to pedal to get the best of it; traction control off it will bite you if you can't drive. It's not perfect , subframe cracks single pot brakes , old shocks or suspension components can give you negative impression once you drive it but all freshened up it's a fantastic perfomance platform which needs to be exploited to the limits to understand what huge potential these cars have. Just came back to an m3 after a widetrack sti, such a special car to drive and the engine is a peach, you have to work them hard but they go very well. Here's my recently acquired carbon black and my old silver grey. What would you say is a reasonable price to pay for a low mileage manual coupe these days. I would say 50k miles. Saw one yesterday for sale at £16k at 53k miles , the seller message me saying it been sold now. Seen a phonix yellow convertible at around 40k miles going at 17k miles only problem is it a 4 hour drive away from me. I bought one for £6700 and sold it last year at auction for £4800 a year later. It was 03, manual coupe with original 19s and sat nav, but yellow and 129000 miles. Excellent mechanically, but the bodywork had some paint and wings and boot rust. Everyone wants low mileage manual coupes that are not yellow. For me i wouldn't go anywhere near a convertible, the m3 is an old school drivers car, rear wheel drive with predictable handling, the convertible would be no where near as sharp as a coupe and what ever i bought i'd be looking at being able to sell it on easily if i had to. People are obviously buying the big money m3's and if they are showroom with no rust and service history then i can understand it. 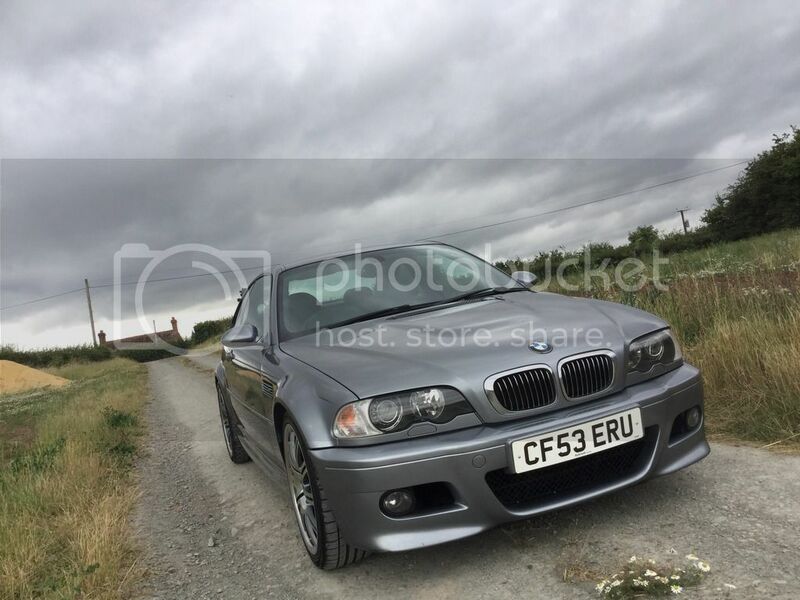 I bought my old silver grey car for £5500, kept if for two years spent a fair bit on it and sold it for £7300, well i gave it away as it wasn't rusty, just had an inspection 2 new smg pump etc, i had a que of people wanting to buy it and it sold within 12 hours so i undersold it. low low milage under 50k, but i'd expect to be up towards 20k. 70k - 80k ish is low miles given the age. Subframe and service history are mega important with them in my eyes. Bodywork is an easy fix. Seen a carbon black with black interior with 54k miles going fot £16,000 what you think of the price, is it reasonable. He said body work is mint, leather slightly worn on drivers side. Full history. Subframe not checked, he ain't drimych.it much. Would you pay for it. Without the subframe being given the all clear personally i'd walk away. Even if it was given the all clear i'd drop the budget to allow the cost of reinforcing it (£1800-£2500 depending on where you go and whats done) because they all go sooner or later. Leather seats can be sorted if you know where to go. Last edited by scooby k; 25 April 2017 at 12:35 PM. Biggest down fall as mentioned is the subframe, or for better words the tin foil that the subaframe attaches to. Speaking from experience, unless you drop the whole subframe you cant fully see the extent of the damage or hair line cracks just waiting to go pop. Removing all of the underseal from around the mounting points will highlight most of the weakness. Its not that bad of a job to strengthen, and a good time to refresh all the rear bushes. I test drove one today, omg what a car. Don't know why I didn't get this sooner. Only issue is the rear subframe hasn't been checked. I've been told by someone to avoid. What shall I do. Ask the seller if they are willing to have it inspected. I doubt very much he would do that now. You fink I should just got for or its too much of a risk. I would assume it is cracked, mine had some hairlines I could see and probably a lot more I could not. Thanks for that. I actually spoke to Munich legends yesterday too. Was a woman that answered the phone and she was quite helpful and said better to get it checked as it would most likely need doing if not already done. S​aved myself 2k I suppose if it needed doing but really feel like kicking myself for loosing out on the car. God knows when another good one will pop up. I'm already on there tidgy, not much on there at the moment that catches my interest. Ah k, wait till the right one comes along is by far the best bet.